I also get this error when I go to Options->Audio Options->Audio Options for Speakers and click Auto Search, and this same thing occurs for every Sound Card Device that I try to use. These instructions may work for other releases of CamStudio and Windows. Right-click on list of sound sources and select "Show Disabled Devices"
Right-click on "Stereo Mix" and select "Set as Default Device"
On CamStudio, Options: if unchecked, check "Record Audio from Microphone"
Not the answer you're looking for? Browse other questions tagged screencasts camstudio or ask your own question. 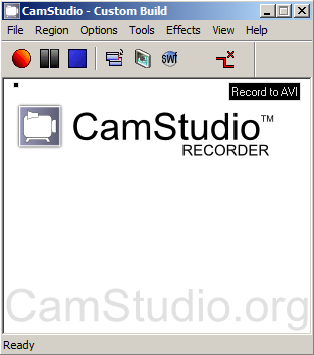 What are the most likely bottlenecks determining the performance of CamStudio screen recording? How to reduce the size of a video recorded with Camstudio for uploading to YouTube?